Julianne O’Daniel is an experienced genetic counselor with 10+ years dedicated to research and practice within the field of medical genomics. Julianne obtained her master’s degree in genetic counseling from the University of Pittsburgh and is certified by the American Board of Genetic Counseling. 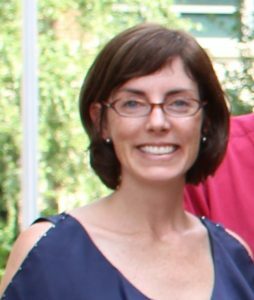 Recently, Julianne joined the clinical/research team within the UNC Department of Genetics where she is collaborating on several exome sequencing projects including the NCGENES whole-exome diagnostic sequencing project, an NIH CSER grant, as well as providing cancer and adult genetic counseling. Julianne started her career at Duke University and came to UNC via Illumina, Inc. where she was part of a unique team focused on the development and delivery of clinical whole-genome sequencing services including ethico-legal considerations and variant interpretation algorithms. Prior to joining Illumina in 2010, she was an Associate in Research within the Duke Institute for Genome Sciences & Policy, as well as a practicing genetic counselor within the Duke Executive Health Program. Her research focuses on the clinical application of whole-genome/exome sequencing which I have studied through social science methods, clinical/translational research and commercial development. The broad scope of these testing technologies enables us to evaluate multiple genes of interest at once, potentially eliminating the need for repeated testing. This more comprehensive approach to diagnostic testing may be especially important in conditions with significant genetic and phenotypic overlap. Cancer predispositions syndromes embody this complexity. In addition, cancer is unique in that it presents two genomes to examine: the tumor and the germline/constitutional. The tumor genome is examined for insight to guide current treatment and prognosis whereas the germline genome is examined for insight into future cancer risk for the patient and their family members. Additional, non-cancer related genetic information may also be learned from interrogation of the germline genome. Exploring the challenges presented by this wealth of information particularly for cancer patients is a principal interest of hers.